Duplex, by Kathryn Davis (October): Promising interconnected plot lines, a "traditional love story tucked inside an adult fairy tale" and stunning writing. On Immunity, by Eula Bliss (September): "A powerful examination of what vaccines mean for our children, our communities, and the world by the winner of the National Book Critics Award." See You in Paradise, by J. Robert Lennon (November): A short story collection from an author Ann Patchett calls "a writer with enough electricity to light up the country." 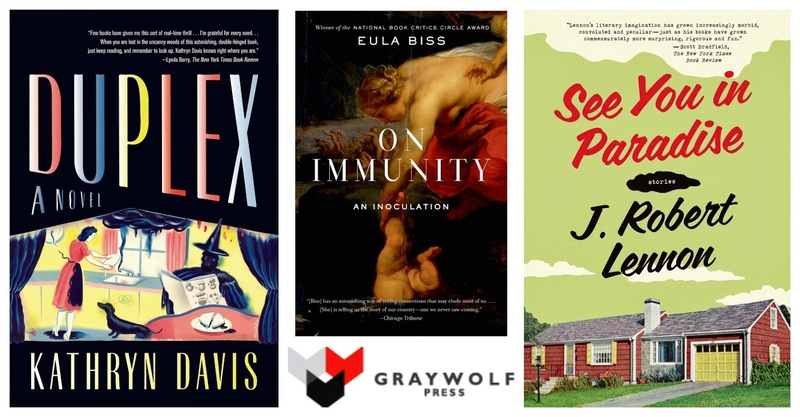 In addition to having an excellent blog, Melville House offers a quirky list of delightful titles, ranging from short story collections to the beautiful titles in the Neversink Library and Art of the Novella series. Wittgenstein Jr, by Lars Iyer (September): A humorous coming-of-age story (I've got a soft spot for coming-of-age stories). 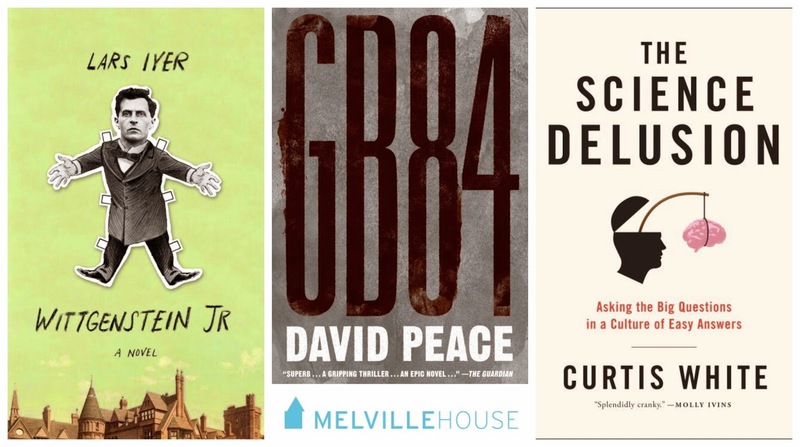 GB84, by David Peace (November): Peace's name graces no less than three pages in Melville House's 2014 catalog: two for his soccer football novels, The Damned Utd and Red or Dead, and one for GB84, a novel of the British coal miner's strike of 1984. Based on what I heard Peace reading at BEA, I have a feeling this man could write about anything and I'd be interested. Recently released titles that also caught my eye: Red or Dead by David Peace (I heard him read from this for a bit, and it was outstanding); The Weirdness by Jeremy P. Bushnell; A Highly Unlikely Scenario by Rachel Cantor (I've read this one and highly recommend). The Other Side: A Memoir, by Lacy M. Johnson (July): Lacy Johnson was held prisoner by her ex-boyfriend in a sound-proofed room in a basement. Her memoir "weaves together a richly personal narrative with police reports, psychological evaluations and neurobiological investigations." This looks intense, but if I learned anything from reading Roxane Gay's An Untamed State, it's that sometimes intense is necessary--and worth it. 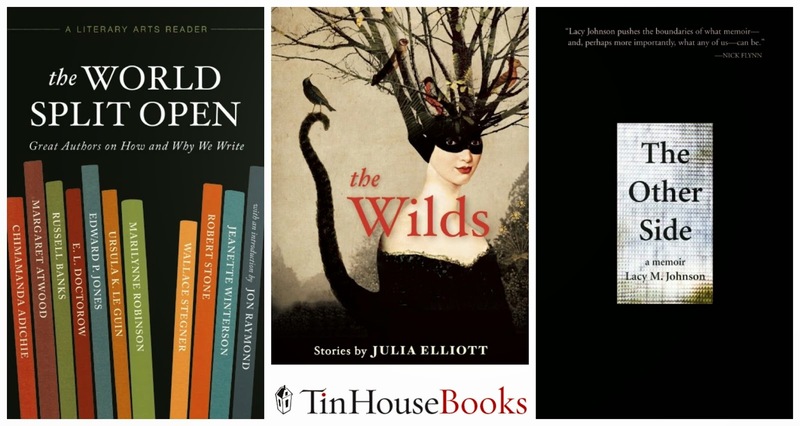 The Wilds, by Julia Elliott (October): When I asked the editor at the Tin House booth what one book she'd recommend from the fall list, she handed me this without hesitation. That's enough for me, but even better is the catalog description, that Elliott's "language-driven fiction uses outlandish tropes to capture poignant moments in her humble characters' lives." The World Split Open: Great Writers on How and Why We Write, A Literary Arts Reader (November): In celebration of the 30th anniversary of Literary Arts, Tin House has compiled highlights from the series into a single volume, including entries from Margaret Atwood, Marilynne Robinson (! ), E.L. Doctorow, and Ursula K. LeGuin, among many others. Whitman Illuminated: Song of Myself, by Walt Whitman (illustrated by Allen Crawford), on sale now: Perhaps one of the absolute prettiest books I've ever seen, and an edition that should grace the shelves of any lovers of poetry, Whitman, and/or book design. Allen Crawford's "Whitman Illuminated: Song of Myself" from David Scott Kessler on Vimeo. What small press titles are you looking forward to this year? Thanks for highlight what smaller presses have to offer. They sometimes get lost in the hub-bub created by the larger houses. There are a few that I will keep my eye on. I really want someone else to read Duplex! I read it when it was out in hardcover last year and it's such a mindbender of a book that I always what to chat about it with other people. Agreed, they can be much easier to miss with all the hype of larger houses. But they have so many interesting and beautiful titles! Mindbender is a good word based on the description I read... it's on my list and I'll be sure to find you if/when I finish it! I'm ashamed that I do not read many small press books these days. I love the cover of Duplex! I read Davis's The Girl Who Trod on a Loaf years ago, also a strange fairy tale for adults. Wow, I feel like I need to write every one of these titles down. I've read two previous books by Eula Biss, and I'm happy to see she has another one out. Thanks for posting--I probably wouldn't have found all these titles on my own. I've never read anything by her, but this one sounds really interesting to me. And I'm glad you found some things here that were worth writing down!